Home / Blog / Introducing our New Candela Laser! Versatility – Capable of removing unwanted hair, leg and facial veins, fine lines and wrinkles, vascular and pigmented lesions and skin laxity. 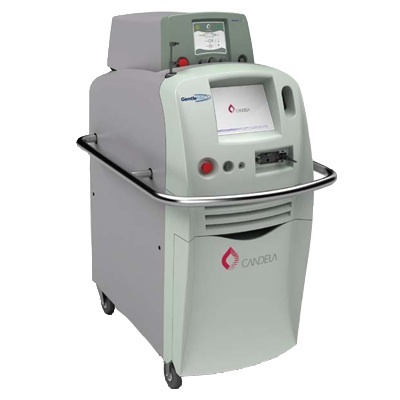 Fast – Fast treatment with fewer laser pulses. Powerful – GentleMAX has speed and efficacy that no other machine has. Treats All Skin Types – Dual wavelength capabilities gives this Laser the ideal settings so that any skin type can be treated. Call our office today to speak with one of our Master Estheticians about this exciting new LASER. We offer complimentary esthetic consults. A Master Esthetician will meet with you and complete a skin analysis on your specific needs and desires. She’ll then go through all of your options with you. If you’d like to schedule a consultation, please contact our office.